The miniaturization and development of biomedical implantable devices parallels development in science and engineering, more specifically in the fields of microelectronics and IC technologies, robotics, and power sources and energy harvesting. Early historical reviews on implantable devices  are recently updated by a number of excellent and comprehensive technical reviews that show the state-of-the-art -, and in popular books . 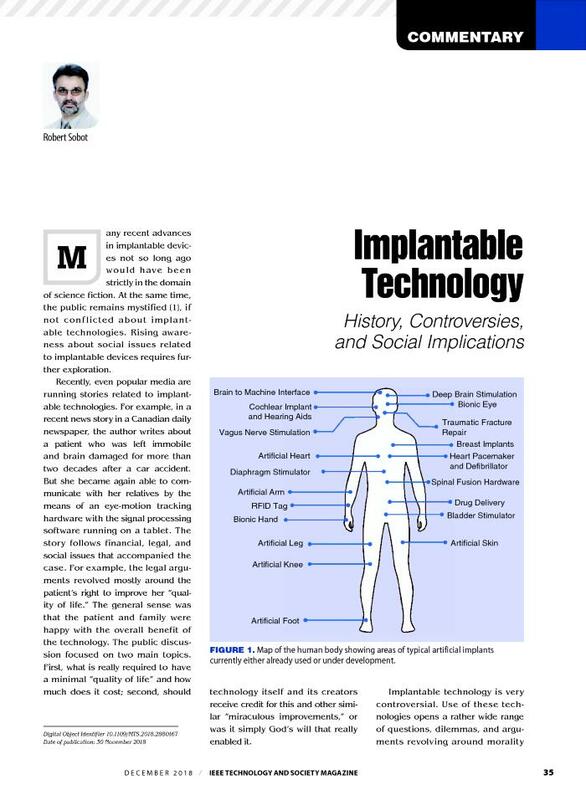 However, the objective of this paper is to contribute by reviewing historical background and some of the key developments that enabled modern implants, but within the social and cultural context. Thus, a rather wider range of references, not all strictly technical, will be used and included in this review. To illustrate the current state-of-the-art, Figure 1 shows a map of the human body, pointing out some of the most common areas targeted by modern implantable technology, either already in the clinical use or still in the research stage.